The Scourge of Orcus resource pack. This is a custom resource pack for the up-and-coming Adventure Mode pack Scourge of Orcus. This will ship with the Scourge of Orcus Packs. This pack changes up some music and provides custom effects that are used within the Scourge of Orcus Pack. Players are not required to utilize the resource pack while playing the Scourge of Orcus modpack but it is strongly suggested. 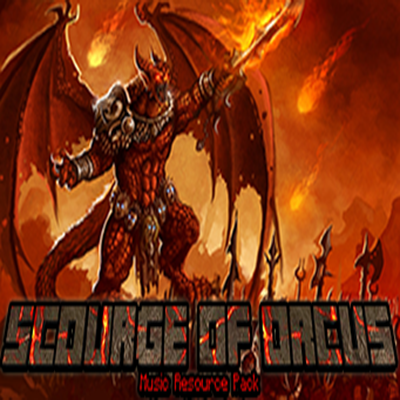 Custom music has been created specifically for the Scourge of Orcus and to immerse the player within the adventure by other composers as well. The pack license is Apache License version 2.0 to fit with the distribution requirments of this compilation.